2. 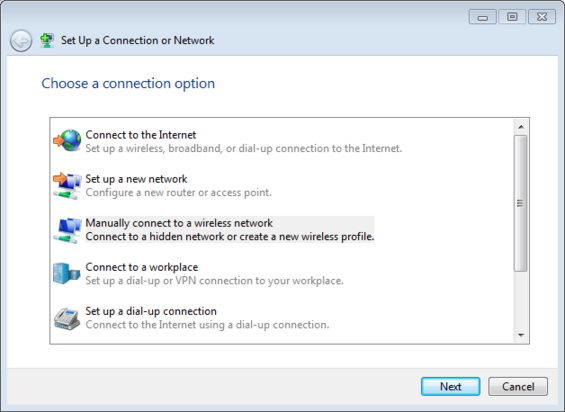 From the list of tasks select Setup a new connection or network. 4. 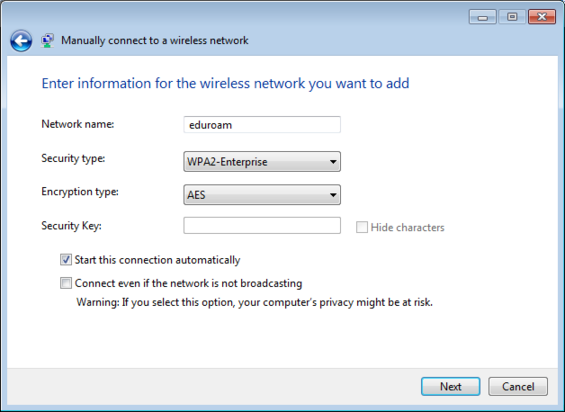 You will then be asked for information about the wireless network. 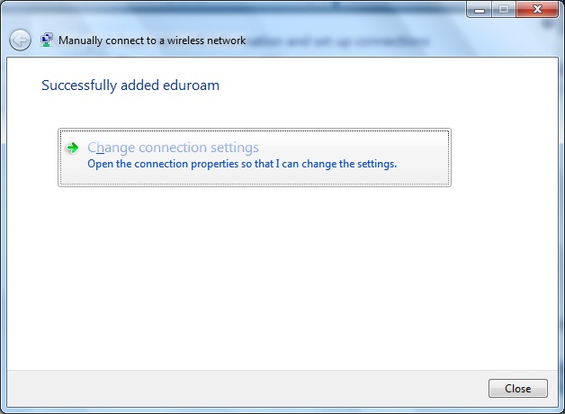 In the Network name box , type eduroam (note the lower-case 'e'). Select  Next . 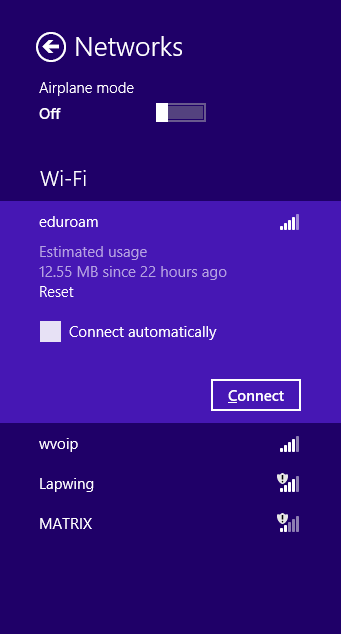 You should now be told that eduroam has been successfully added. 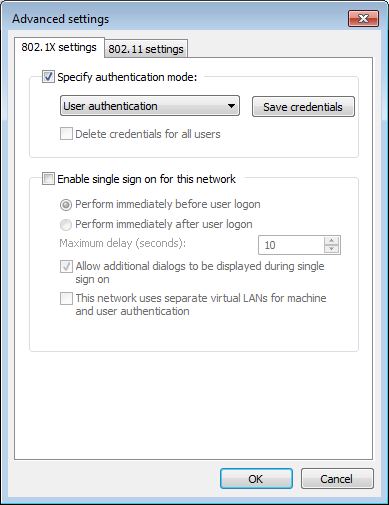 Select  Change connection settings . 6. Select the Security tab. 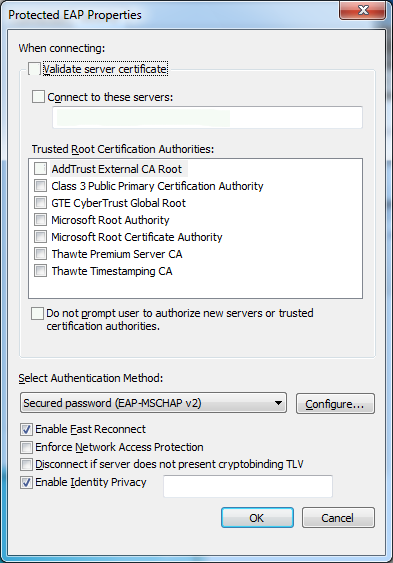 Make sure Validate server certificate is not ticked. 12. 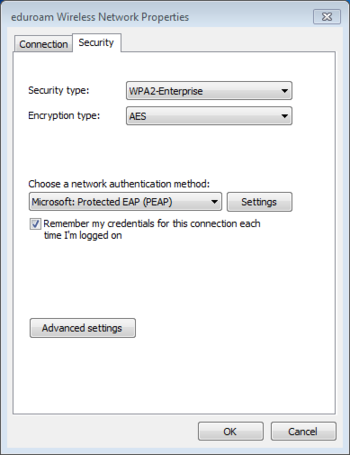 Now Select the 802.11 settings tab. Check that Enable Pairwise Master Key (PMK) caching is not ticked. 14. 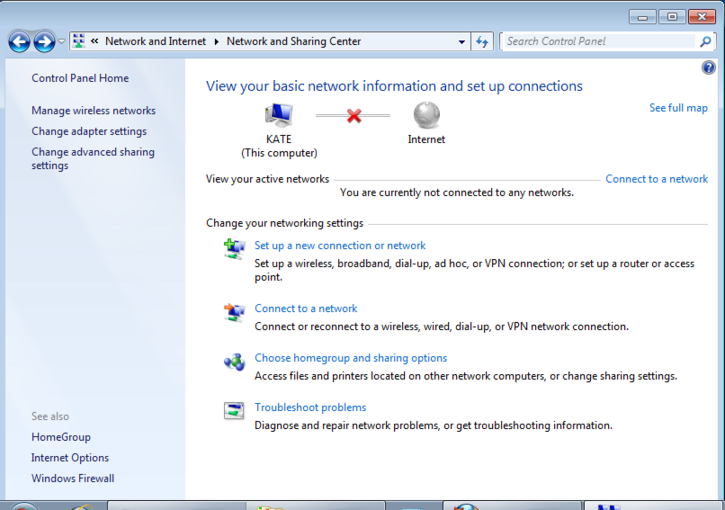 Select Close to close the "Manually connect to a wireless network" box. 17. 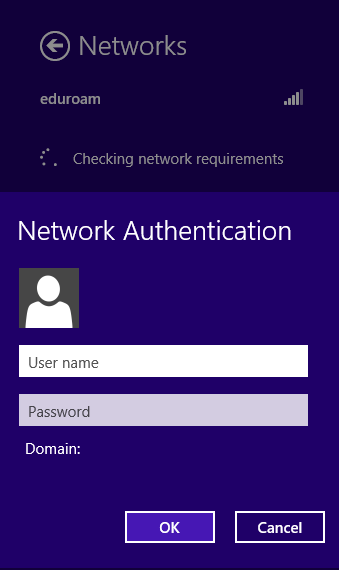 After a short period of time your computer should tell you Checking network requirements and then display a dialogue box prompting for your credentials. 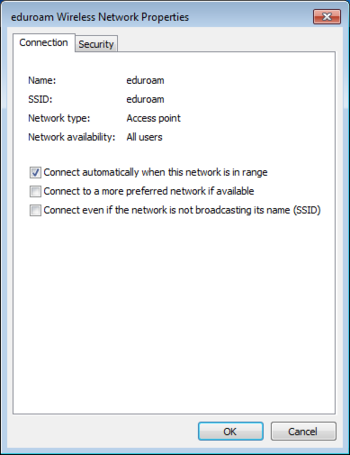 Your User name will be the eduroam identifier shown (typically your name or registration number followed by @institution.ac.ke where institution.ac.ke is your University doman eg ku.ac.ke for Kenyatta University). 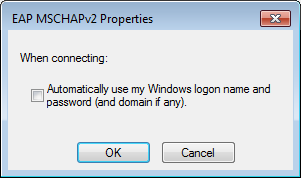 Your Password will be the password provided by the ICT helpdesk. 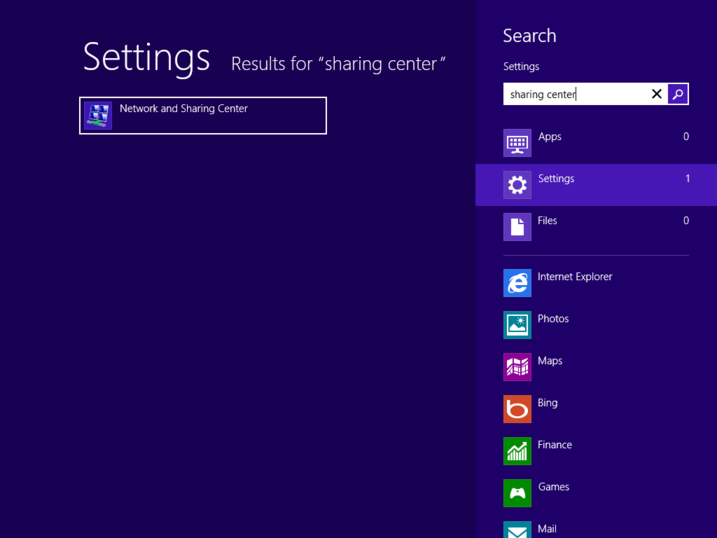 All the settings you have made are stored in your computer and should not need re-entering each time you connect. This page was last modified on 3 September 2013, at 07:59.